I know someone else posted about these fly boxes before (Eddie, I think) but I couldn't find that thread. I just got mine in the mail yesterday and it really lives up to the hype. Perfect size (5" x 3" x 3/4") fits easily in a pocket without bulk. Clear poly-carbonate cover so you can see your flies without opening it. Excellent grip of the fly hook, and the silicone doesn't get buggered up by the hooks like with other materials. And a rock solid hinge that should last well beyond the life of the box. A little pricey at $20, but in this case it's certainly worth it. I plan on getting another one so I can have a dedicated box for dries, and another for terrestrials. Thanks for this, Bill. I think the next place I am going to waste a bunch of my money is on fly boxes. For the longest time, I have just gone with the SA double sided boxes. I haven't been very pleased with them for dries though, and quite frankly they just don't hold hooks as well as I would like. I am thinking about getting one of these (or the original size) for holding dries since all my streamers go into my Bugger Beast. As I type this out, maybe I should look into the big box from Tacky for a single day streamer box too. I rarely need all the flies I have in the Bugger Beast, and it would be nice to have something smaller that I can switch flies in and out of depending on where I am fishing. The Tacky boxes are actually less expensive than the SA boxes I usually use, so I'd be saving myself some money (compared to just buying more of the same). Anyone else have any fly boxes they like? 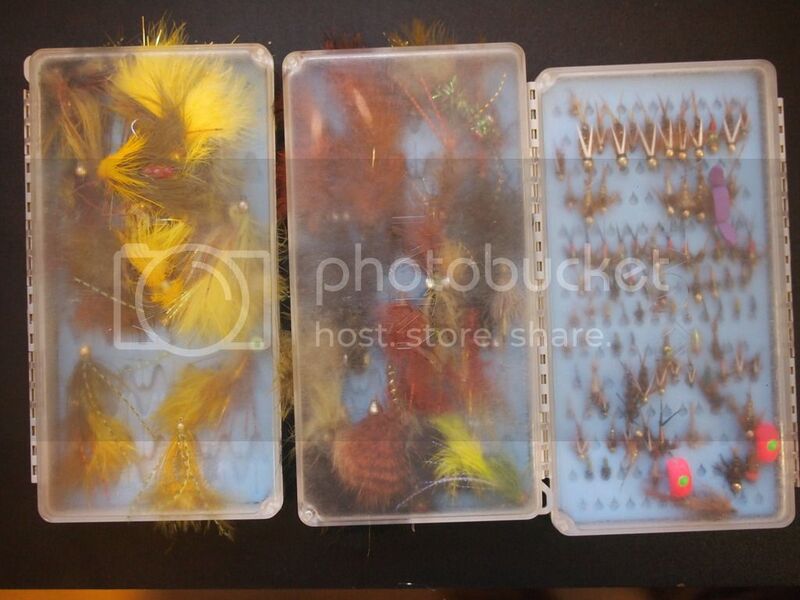 I'm looking specifically for dries, but I'm interested to hear about any nymph or streamer boxes folks are into as well? These super slim plastic fly boxes are perfect for small flies and take up very little space (5" x 3" x 1/2") in your pocket. Orvis sells them, , but other outlets have the same thing for less. I've bought them online for ~$9 each. And yeah, they're perfect for Pink Squirrels too. I am also a fan of the Tacky Fly Box. But one thing that their advertisements do not tell you is that if you rub sand into the clear plastic it does not stay crystal clear.